If you’re a ’90s kid — or, heck, even just lived through the ’90s — then Jim Carrey was probably your comedic hero at some point. He made us laugh ’til we cried in old classics like Ace Ventura: Pet Detective, Dumb and Dumber, The Cable Guy, Liar Liar and The Mask. 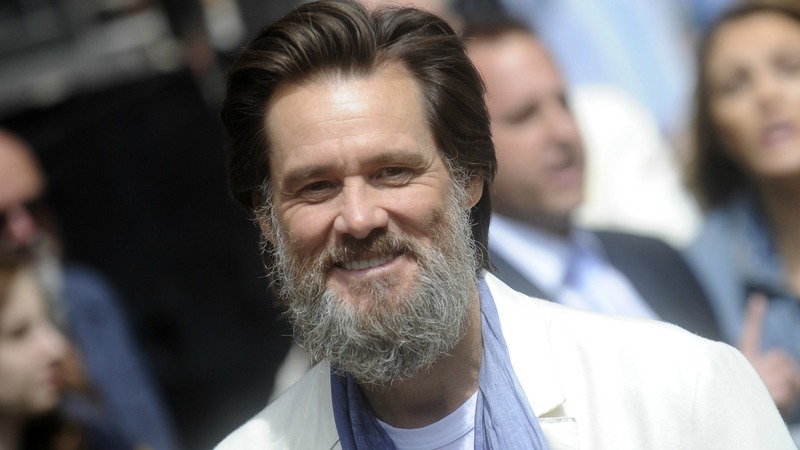 All these movies made us love Carrey until it hurt, which has made it really hard to stomach all the negative press he’s been getting lately after the death of his ex-girlfriend, Cathriona White. So,for now, let’s take a minute to focus on a happier times and share some little known facts about Carrey that you might not know. It’s nearly impossible to visualize anyone other than Johnny Depp in the Pirates of the Caribbean franchise as Captain Jack Sparrow, but he wasn’t director Gore Verbinski’s first choice for the off-kilter role. Verbinski actually offered it first to Carrey, who had to turn it down due to scheduling conflicts with Bruce Almighty. More: Does Jim Carrey really deserve blame for his ex-girlfriend’s death? Mwuhaha… mwuhahahaha! We feel kind of devious springing this on you while you’re still digesting the whole Captain Jack Sparrow bit above, but Carrey was actually cast as Dr. Evil in Austin Powers: International Man of Mystery. Could he have pulled it off? And, more importantly — had he not backed out due to scheduling conflicts — who would they have gotten to play his Mini-Me? Well, sort of. While Tupac served time in jail, Carrey wrote him letters of encouragement to amuse the rapper and keep his spirits up. And the gesture didn’t go unappreciated. Before his death, Tupac always insisted that Carrey was his favorite actor. When he was growing up, Carrey’s Canadian family was so poor after his father lost his job that they all had to go to work as janitors at Titan Wheels Factory in Toronto — where Carrey would pull eight-hour shifts after school. When they finally decided to leave the factory, they were forced to live in a Volkswagen van on a relative’s property until they could get back on their feet. Carrey has a reputation for being a bit of an exhibitionist, but still — call us old-fashioned — we find it shocking anytime someone shows up nearly naked in public. For the 20th anniversary special of The Comedy Store, the funny guy made his grand entrance as naked as the day he was born… save a tube sock over, um, Mr. Popper’s penguin. We’d be remiss not to at least mention the current legal proceedings against Carrey. Cathriona White’s mother and estranged husband, Mark Burton, have both filed separate wrongful death lawsuits, blaming Carrey for White’s death. But for his part, Carrey maintains his innocence. Originally published August 2013. Updated October 2016.